SITA is the world’s leading specialist in air transport communications and information technology. They work closely with every sector of the air transport community, innovating, developing and managing business solutions accross the global air transport industry. 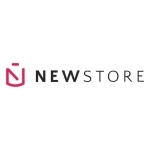 The NewStore mobile retail platform empowers brands to deliver a mobile-first shopping experience to the consumers. Natively built from a mobile perspective, it can be easily integrated with e-commerce platforms. Our client is a software publisher in the field of intellectual property (IP) management. Their worldwide service range offers both legal and portfolio services, as well as strategic IP consulting and cutting-edge software solutions for effective IP management. Aktan is a French service provider in the field of service innovation, assisting companies in the industrialization of their service innovation activities through innovation-dedicated projects and labs, and collaborative platforms. Our client is an e-commerce company founded in 2012 and headquartered in Berlin. The company specializes in selling accessories for smartphones, tablets and other electronic devices. Our client is active internationally via a variety of platforms and online shops. Ocea Smart Building consists of a branch-office specialized in auditing organizations and operating costs and a structure dedicated to software publishing (“ISIOM”) with 25 years of experience in the real estate operating business. Kalios is the publisher of KaliosTest, an integrated software testing platform. In manual mode, KaliosTest is used for application graphical mapping, test case generation and configuration, manual execution and related reporting. Subsidiary of the mobile pure playerSmart&Geek, JobAroundMe offers an iOS and Android recruitment application which grants applicants access to geolocalized job offers and the abilitity to manage different stages of the employment research process. Socrative is a US start-up company specialized in e-learning. They developed a smart student response system empowering teachers to engage their classrooms through a series of educational exercises and games running on smartphones, laptops, and tablets. Easyflyer is a leading online printing merchant in France, offering discount products associated with high-end customer service. This 100% web-based startup business founded in 2009 was acquired by the largest online print provider world-wide in 2015.